U.S. military bases on the nation’s coastline are at increased risk to “catastrophic damage” from flooding due to rising sea levels, according to a recent article by NBCNews and InsideClimate News. Many of America’s strategic military bases are vulnerable to flooding, according to another report by the Union of Concerned Scientists. The Kennedy Space Center (Florida), US Naval Academy (Maryland), Washington Navy Yard (DC), and the Naval Air Station Key West (Florida) are among those at greatest risk. 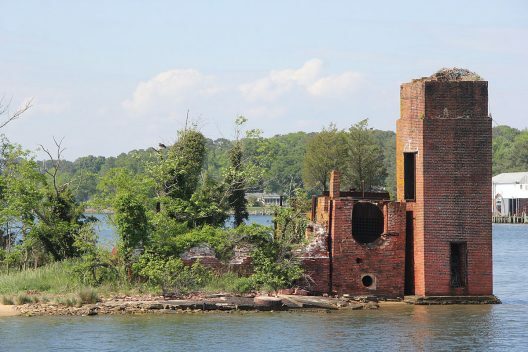 The Norfolk Naval Shipyard in Virginia is in particular peril. The site is one of only four shipyards designed to maintain the U.S. arsenal of nuclear submarines and aircraft carriers, critical to U.S. defense and humanitarian missions. In the last ten years, the shipyard was impacted by nine major floods. Each event caused equipment damage and maintenance delays that affected the entire U.S. naval fleet. Sea level at Norfolk has risen 1.5 feet in the last 30 years causing an increase in nuisance flooding. After Hurricane Matthew dumped historic rain on the area, the Navy spent $1.2 million to repair one building badly damaged by flooding. Most experts agree that a looming disaster for the shipyard is not a question of if, but when. Hurricane Florence came close to Norfolk in September 2018, veering south to bring a flooding crisis in Wilmington, N.C. The military has been sitting on this issue for years. In 2010, the Quadrennial Defense Review made it clear that climate change should be a Department of Defense priority. In 2011, a Navy-commissioned National Research Council report warned that 56 Naval facilities worth $100 billion would be threatened if sea level rose three feet. Since that report was published, little has been done to protect these assets from the threat of rising sea levels. Political resistance to climate change issues has blocked or slowed efforts to fund resiliency projects that would shore up America’s defenses before it is too late. In Norfolk, the Navy dodged disaster in 2018, but climate change and rising sea levels remain a clear and present danger to U.S. military might. While there is is currently a prospective rescue plan for the island, the plan is projected to cost in the range of $30m- a figure that is completely untenable to save an island important only to the 700 people who live there. And Tangier Island is only one of many endangered inhabited islands on the Chesapeake Bay- why save this particular island and not the others? At the same time, the coastal cities that line the Eastern Seaboard are competing for limited funds to install flood barriers, berms, and other flood control devices in order to stave off inundation. Flooding will be an ever-increasing part of life for all who live near the sea. For those who live surrounded by the sea, flooding will soon claim their entire world. One of the most destructive aspects of storms like Hurricane Florence is the catastrophic flooding caused by storm surge and prolonged heavy rainfall. Water damages or destroys many homes and businesses thought to be out of harm’s way. When flooding strikes, building owners need to know that their property and assets will be protected. 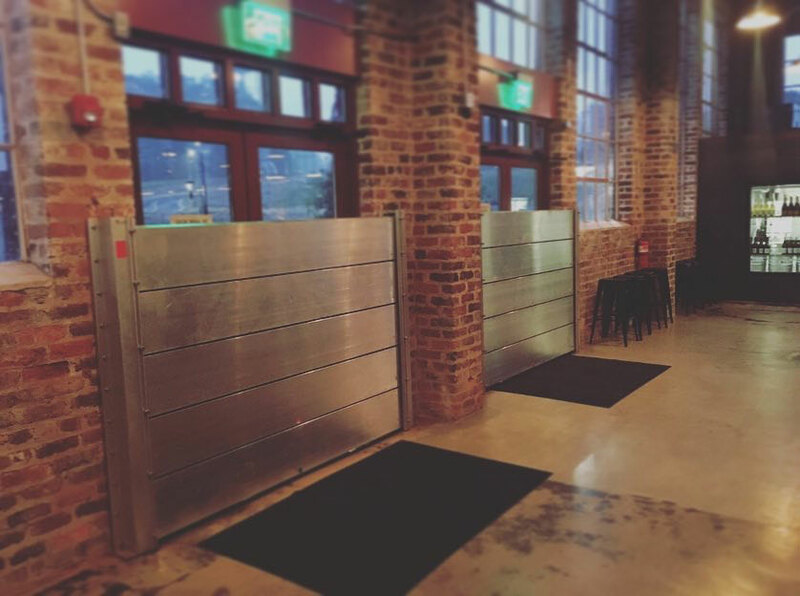 Flood doors, flood panels and other flood barrier solutions can provide some peace of mind in a flood event. But how can one know with any degree of certainty that those measures will work? 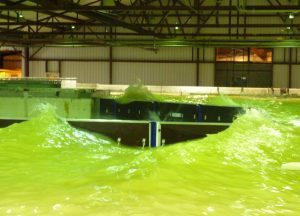 Several years ago, at a conference sponsored by the Association of State Flood Plain Managers and the U.S. Army Corps of Engineers, attendees called for a national program to test flood barriers that would standardize quality and differentiate products that worked from those that did not. 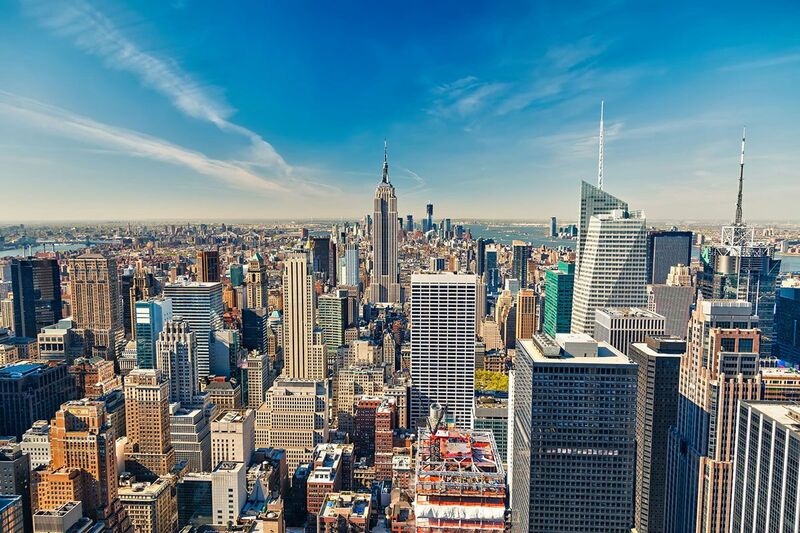 Meanwhile, FM Global, one of the world’s largest business and property insurers, was also taking steps to address the problem at its insured facilities worldwide. 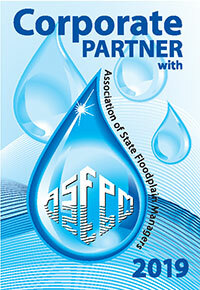 In 2006, its subsidiary FM Approvals created a standard for testing and certifying flood loss prevention products. FM Approvals Standard 2510 was adopted by the American National Standards Institute. It is the only U.S. national standard for flood barrier products. 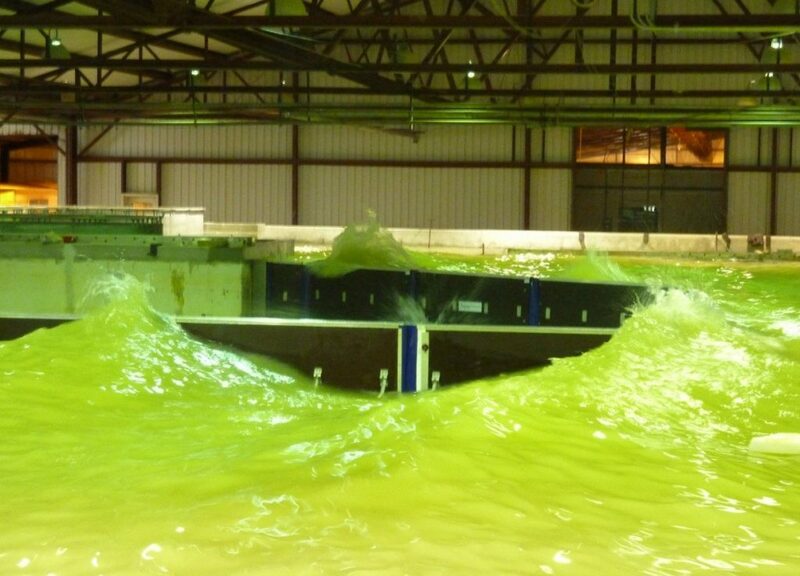 In 2012, ASFPM partnered with USACE and FM Approvals to develop the National Flood Barrier Testing & Certification Program based on the ANSI/FM Approvals Standard 2510. It “assures manufacturers and consumers that a product, which has been objectively tested, conforms to national standards.” The program awards national recognition and FM Approval certification for products that meet requirements. Flood barrier certification requires a battery of tests, audits of the manufacturing facility and supporting operational guidelines. This process ensures certified flood solutions will stand up to waves, hydrostatic forces and impact from floating debris. FEMA and the National Flood Insurance Program have adopted the requirements for floodproofing nonresidential structures. The testing and certification program is a five-step process that includes 1) Application, 2) Proposal Issue and Manufacturer Authorization, 3) Testing and First Audit, 4) Report and Certification, and 5) Follow-up Audits. The USACE evaluates temporary perimeter barriers at its facility in Vicksburg, Mississippi. 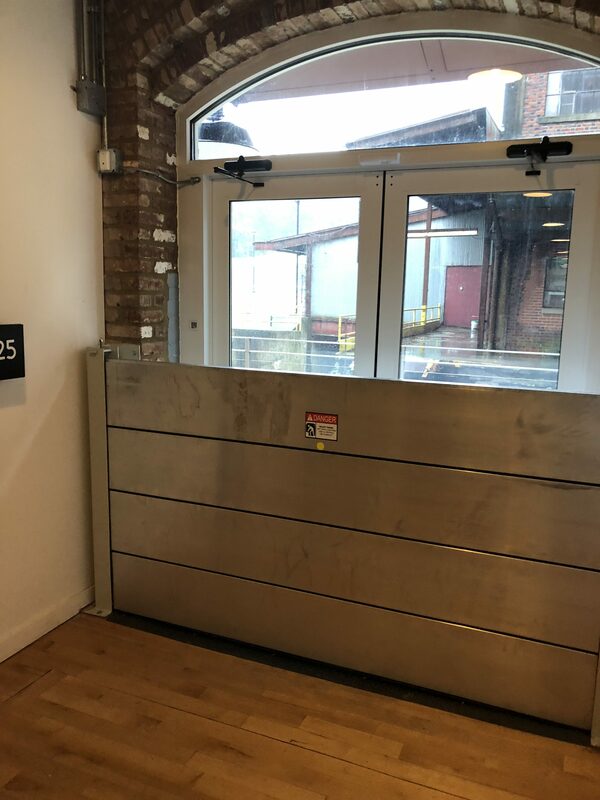 Tests on closure barriers can be conducted in Vicksburg, at a manufacturing facility or at an independent laboratory approved by FM Approvals. The Flood Lab at Flood Panel LLC headquarters in Jupiter, Florida is an example of an approved manufacturer facility. Manufacturers are also required to develop a “Design, Installation, Operation and Maintenance Manual” that outlines repair and replace instructions for the product. Additionally, the manufacturer must create a post installation checklist to be completed by the installer and kept on file at the manufacturer facility. FM Approvals visits the manufacturing facility to confirm that quality guidelines are set to ensure consistent production of the product. During these audits, FM Approvals also verifies that completed installation checklists are on file. Finally, FM Approvals conducts periodic follow-up audits at the manufacturing facility to ensure that nothing has changed with the certified product. Silver: Water (at least one foot hydrostatic test) and material testing, plant and product inspection, and follow-up verification. Gold: Water (at least two foot hydrostatic test) and material testing, plant and product inspection, and follow-up verification. Platinum: Water (at least three foot hydrostatic test) and material testing, plant and product inspection, and follow-up verification. Tom Osborne, president of Flood Panel LLC, compares the certification program to other standards, such as UL Listings or Fire-Safety Ratings, which assure consumers that building products meet standards set by the industry. Visit www.nationalfloodbarrier.org for more information and a webinar about the National Flood Barrier Testing & Certification Program.